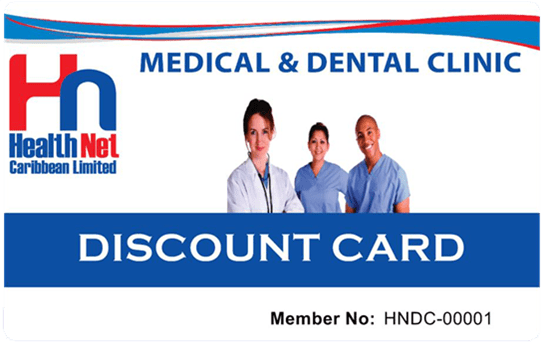 Health Net Caribbean Limited has a loyalty programme titled “MY CARD” which offer Huge year round discounts on medical services at any Health Net location. The MY CARD plan can be obtained at a very low annual fee and offers an attractive Free Annual Medical Card holders also benefit from discounts at over 60 merchants. The MY CARD plan can act as your personal healthcare and lifestyle plan. There are no restrictions in purchasing a plan regardless of your age, medical condition or nationality. The hallmark feature of the MY CARD PLAN is the FREE ANNUAL MEDICAL CHECKUP. Each card holder is entitled to a free annual medical which involves diagnostic tests and medical examination with one of our physicians.